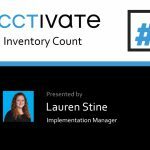 Take a quick look at printing and entering an Inventory Count in Acctivate. Watch in Full Screen mode. 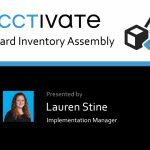 Take a quick look at creating and posting a Standard Inventory Assembly session in Acctivate. 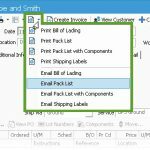 This does not include Custom or Process assemblies. Watch in Full Screen mode. Take a quick look at creating and posting an Inventory Balance Adjustment in Acctivate. Watch in Full Screen mode. Take a quick look at creating and posting an Inventory Receipt in Acctivate. 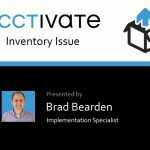 Watch in Full Screen mode. 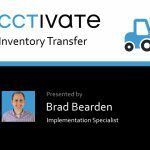 Take a quick look at creating and posting an Inventory Transfer in Acctivate. 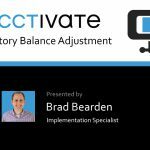 Watch in Full Screen mode. 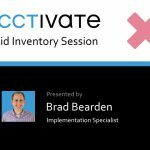 Take a quick look at Voiding Inventory Sessions posted in Acctivate. 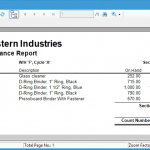 Watch in Full Screen mode.